Canadian colleges and universities are scrambling to define their role and establish ground rules as cannabis legalization approaches – and like provincial laws, policies vary greatly between post-secondary institutions. 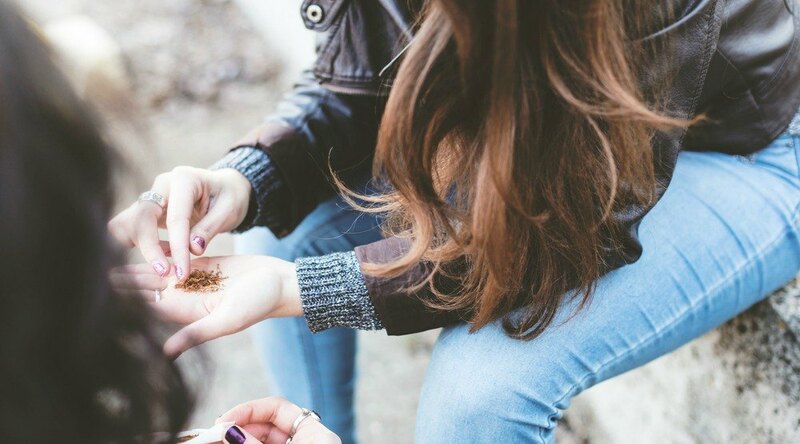 Many schools have adopted a hard line when it comes to cannabis on campus, citing reasons such as health, safety, and criminal activity as reasons to “Just Say No” to the soon-to-be-legal drug. But some experts warn that prohibition on college and university campuses may not have the desired effect. “As institutions that create and foster knowledge, universities have a particular responsibility to base their policies on evidence, and what the evidence supports is harm reduction,” says Kira London-Nadeau of Canadian Students for Sensible Drug Policy and the National Institute of Cannabis Health and Education. Despite their apparent devotion to health and safety, are the schools who have embraced stricter regulations hurting the very students that those regulations exist to protect? “Prohibition on campus holds the same risks as prohibition as a federal cannabis policy: use isn’t deterred – it’s simply hidden,” says London-Nadeau. “Sanctions for use may be more detrimental than use itself, and consumers cannot access spaces to use safely. Note: In some provinces consuming cannabis is legally prohibited on campuses, workplaces and/or in public, including Ontario, Quebec, and New Brunswick. Post-secondary institutions in those locations do not have the option of allowing students to smoke cannabis on school property (including in vehicles and residences). Cannabis on campus for research or academic purposes is not included in these policies as they face separate rules and regulations within the institutions and the confines of the law. Below is a small sampling of cannabis policies from post-secondary institutions across the country. Students are prohibited from smoking or vaping cannabis on anywhere on campus. The college adopted a 100% smoke-free policy in March of this year. Carleton’s Alcohol and Cannabis Policy specifies that consuming cannabis on campus is strictly forbidden. Use of a cannabis delivery service on campus is prohibited, as is cultivation, sales, harvesting, and propagation (or even offering to do so). Concordia’s Smoke-free Environment Policy bans smoking and vaping any substance, including cannabis. Students must smoke a minimum of 9 meters away from doors, windows, and air intakes belonging to the school. Smoking cannabis in public will be legal under Quebec law in any place tobacco can be smoked, so Concordia students will still be able to easily puff away to their heart’s desire – as long as they’re willing to take a quick stroll down the block. Although Nova Scotia is one of the more relaxed provinces with regards to public consumption, Dal students will not be allowed to smoke or vape anywhere on campus, per the university’s “No Smoking” policy. Dalhousie notes that it does make exceptions for tobacco or other substances used “in connection with culturally significant celebrations,” such as those conducted on campus by some First Nations communities. The policy does not specify whether vaping is permitted. McGill has some of the strictest – and most thorough – cannabis policies in the country. “Consumption/ingestion of cannabis in all other forms (including edibles, drinkables, topical, etc.) will be prohibited on Campus,” it states unequivocally. Also off limits are the “selling, distribution, serving, cooking, preparing, production and growing” of cannabis. The university acknowledges that cannabis (with the exception of prescribed medical cannabis) is illegal under federal law until October 17, but does not specify whether the institution will differentiate between medical and recreational cannabis come legalization. The policy does not specify what the ensuing penalties might entail. Having recently adopted a smoke-free campus policy, smoking cannabis will not be permitted on any property owned or operated by Memorial University. “Mount Allison will approach cannabis legalization through a harms reduction lens, as we currently do with consumption of alcohol and other substances on campus,” the East Coast university proclaims in its Code of Conduct, also noting that they have hired a “harms reduction educator” to work with students and faculty. “Consumption or possession of cannabis” is prohibited at Queen’s, “except if permitted by law and University policy.” Queen’s does not allow the smoking or vaping of cannabis on school property, including residences. Students under 19 are also prohibited from consuming and possessing cannabis, and other students are forbidden to provide cannabis to a minor on school property. Students are, however, permitted to consume edibles in their dorm rooms as well as possess up to 30 grams of dried flower – they’ll just have to find another place to smoke it. UBC does not currently permit smoking “in any place controlled or occupied by UBC,” but does have Designated Smoking Areas for tobacco. As of August 30, the university had yet to complete their policy for cannabis on both UBC Vancouver and Okanagan campuses, despite federal legalization coming to power in less than 2 months. The University of Regina has updated their “Smoke-Free Policy Campus Policy” to “encompass cannabis (marijuana) smoking and vaping on campus,” having removed its few remaining Designated Smoking Areas in 2017. Growing cannabis on institutionally-owned property is also banned. “Additional information about the use of recreational cannabis on campus – such as using edibles – will be shared with our campus community once federal and provincial cannabis regulation details are fully known,” according to the policy. Like Dalhousie, the U of R notes that potential exceptions may be made for Indigenous ceremonies that involve smoking on campus. Like UBC, UVic has yet to publicize any plans or policies in anticipation of cannabis legalization.